Great value, with unsurpassed beauty, fire and sparkling radiance. MOI CC delivers exceptional fire and brilliance at great pricing and value for money. 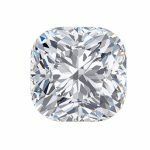 An excellent opportunity for buyers of well-priced moissanite. 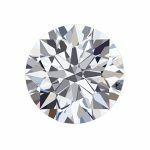 The new range of MOI CC is a cut above any other moissanite on the market with the exception of the Forever One range, which continues to be the premium range of moissanite. 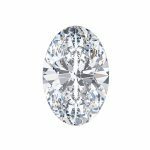 The Forever One range of moissanite is near flawless to VS. All Charles & Colvard moissanite stones are graded and those that do not grade to near flawless or VS are now available in the MOI CC range. MOI CC meets the exceptionally high standards of Charles & Colvard moissanite and the colour, fire, brilliance and the Charles & Colvard certificate and lifetime warranty is the same as the Forever One range. MOI CC comes in two colour grades – colourless (MOI CC DEF) and near-colourless (MOI CC GHI). MOI CC stones are laser inscribed on the girdle with ‘MOI BY C&C’ as well as the Charles & Colvard floret which is proprietary to their logo.